It’s only the second game of the Rugby World Cup and already I’m complaining about the officiating. But seriously, if you watched the same game I saw between the home team, England taking on the always entertaining Fijians than you know that South Africa referee Jaco Peyper and his crew were well off the mark. I mean, if the referee becomes more visible than the game itself than you know something is off, right? Nigel Owens’ job will not be any easier as he sets out to officiate what will be a brutal encounter between Tonga and Georgia. The two sides are known for the physicality and punch up’s. Pundits often jibe and sneer when a Pacific Islander team takes the pitch and more than enough of the commentary during a broadcast will be devoted to the ill-discipline from Samoa or Fiji or Tonga. What may surprise most people who are not Polynesian is the team that lacks the most discipline is the team that will face Tonga tomorrow. Georgia leads the field of combatants in the yellow cards column with an unbelievable tally of 48 yellow cards across the team. 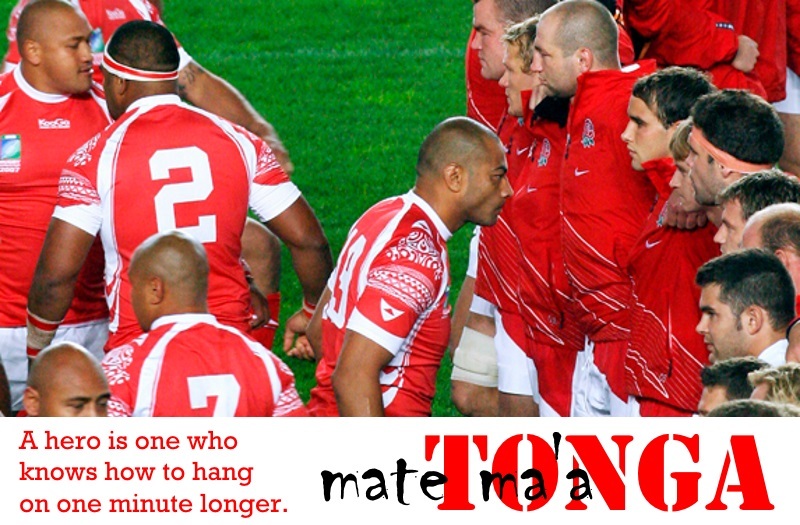 Meanwhile Tonga, a team that many would say is prone to the sort of thing that nowadays could lead to hefty fines and suspensions, have less than half of that total with just 22. Regardless, the Tongans will relish the physical nature of the Georgian attack simply because, well, we Polynesians love being physical. But Tonga will not look past Georgia either but will look to fine tune their attack and defense against a team that they have beaten twice and narrowly lost to once back in 1999, when most of the Tongan team were still school boys. I predict that Tonga will be the victors so long as they are tactical, clinical and calm under the relentless pressure from Georgia especially up front. The calming presence of veterans Kurt Morath, Vungakoto Lilo and captain Nili Latu will help settle boys for a long 80-minutes of fierce rugby but it will be the emergence of young stars like Will Helu and Siale Piutau that will carry Tonga to victory and hopefully beyond Pool C.